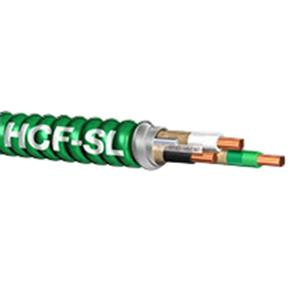 12/2 AC Health care facilities cable has nylon jacket and steel armor to withstand harsh environmental conditions. PVC Insulation of this cable resists electrical leakage and offers protection against environmental threats. This 0.471-Inch OD cable has current rating of 25-Amps at 75 deg C and 30-Amps at 90 deg C. It is suitable for applications requiring branch circuits for non-essential and general-purposes electrical systems. This copper cable is UL listed, RoHS compliant and NEMA rated.